If you loved your free mirror card from Payper Box, then you’re going to love the news we have for you! Exclusive to issue 155, Payper Box have given us a phenomenal Mirror Card bundle offer worth £35. The offer will run from January through to the end of February. The bundle contains 45 sheets of different coloured mirror card, plus an additional ﬁve holographic pieces to make your papercraft really stand out! 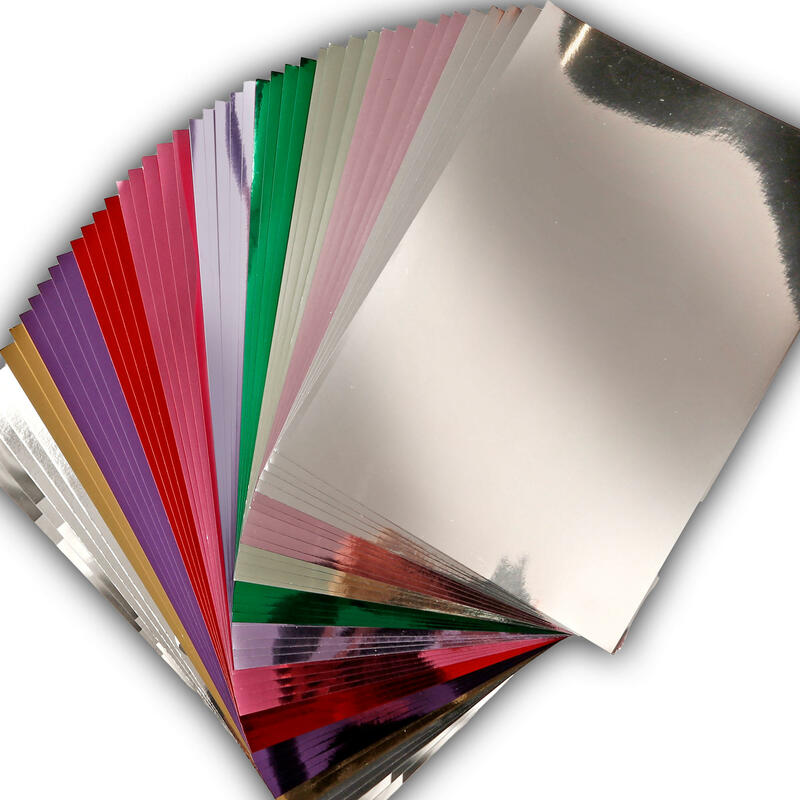 For these 50 sheets of mirrored card, which retails at £35, Papercraft Essentials automatically receive 40% off, taking the fab bundle down to £21! 5 Sheets of each colour Mirror Card + 5 sheets of Holographic Card!